If they are posted on Facebook directly then please share them using the “Share” option (and do not remove the “via”) so that I get credit. If they are from a link to my or anyone else’s website, blog, or Facebook page – please go to the original post and share from there; so that they get credit. Photos posted on my Facebook page have been cropped, resolution degraded to web quality (either by me or Facebook’s utilities so that they load faster). Some may have copyright posted across them, and some posted as a quick share from my phone. Do not expect for them to be of print quality. They were just shared for all to enjoy. If you try to print them, I can almost guarantee you will be unpleased with the result. Check my website for photos I am selling as a print/merchandise – those are of good quality for printing, or ask if me if you are wanting a particular photo and can’t find it. Just remember what you see on the screen is a thumbnail, so if you do a screenshot; print quality will be degraded. What you purchase will not be degraded. Why the rush? by AndyBeattie. 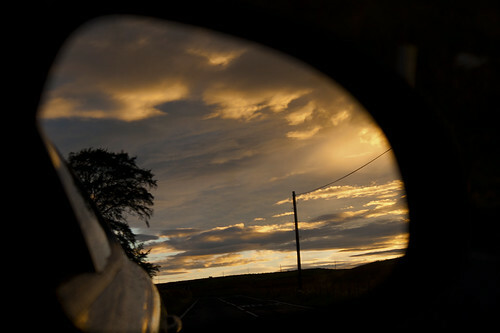 5:53am – Mirrored Sunrise, a photo by Andy Beattie Photography on Flickr.